Game 1 of the first round was not a good one for the 76ers. Aside from Jimmy Butler, nobody really showed up to play the Brooklyn Nets as they held a double-digit lead for much of the second half en route to an easy victory. During that game, the 76ers crowd made their voices heard by constantly booing the team for playing like crap. 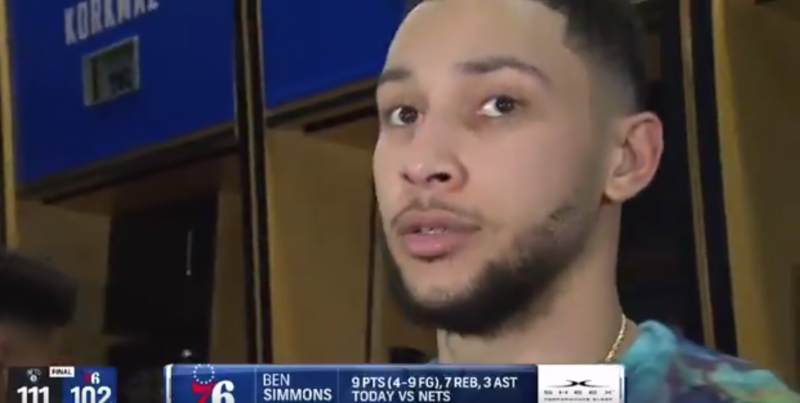 Following the game, Ben Simmons was asked about all the booing, but instead of stating the obvious of getting the players to play better, he decided to call out the fans and tell them to stay on the other side if they’re going to boo.